We love the creative use of a die-cut in this brochure for Padders, a manufacturer of quality British footwear. 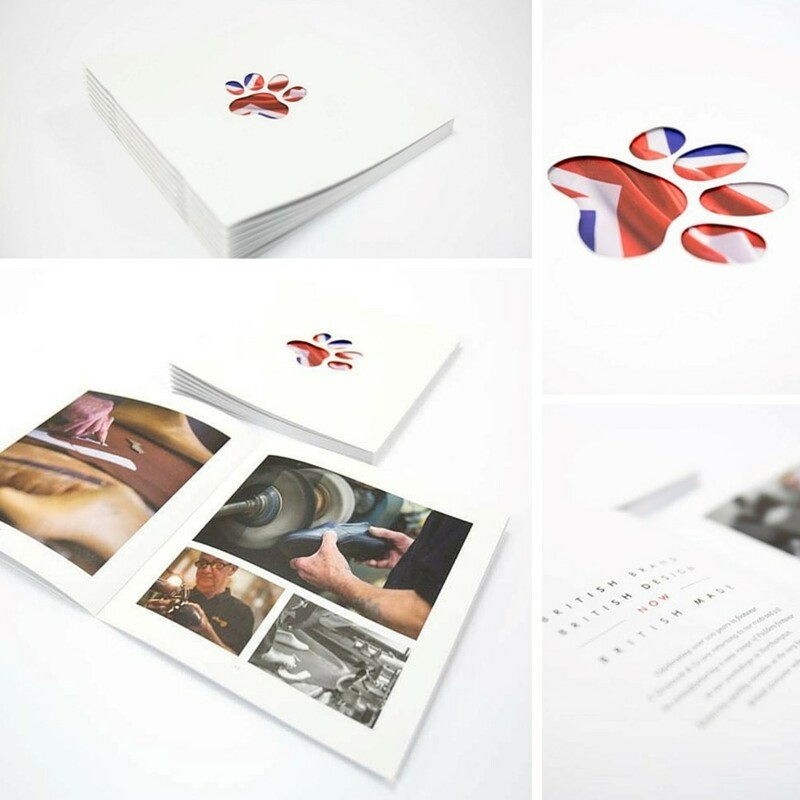 The Padders logo features a Union Flag motif, which is cleverly represented on the brochure cover with a die-cut in the shape of their logo, with the union flag showing through from the page below. Die cuts can create a powerful visual and tactile experience. Pipers Farm are an award-winning Devon butchers. Their Christmas 2015 brochure powerfully demonstrates how great quality print and amazing photography can create a unique emotional impact. We defy anyone not to feel ready for Christmas dinner after reading this brochure... Even in July! Metallic foils can add a quality finish to printed materials. These brochures for Chewton Glen Hotel and Spa speak volumes about their brand values of quality and attention to detail. Often it is the finishing touches that make all the difference. This is a great example of using unusual printing and binding techniques to get a message across. The Singer-sewn binding on this brochure ties in perfectly with the content of the brochure and the photography chosen for the cover. This clever use of a binding effect really brings the concept to life… Literally! Cartwright and Butler make luxury hand-made goods, including biscuits, crackers and preserves. With products featured at Harrods and leading retailers throughout the world, they understand the importance of quality print to represent their brand. These stunning brochures demonstrate the impact that great quality print, clever design and innovative photography can produce.